The storm dumped over 17 inches of snow in the mountains of Colorado, and widespread 2 to 4 inches of snow from the Colorado Plains to the upper Midwest. Freezing rain also was reported in parts of Iowa, Illinois and Indiana on Tuesday night. 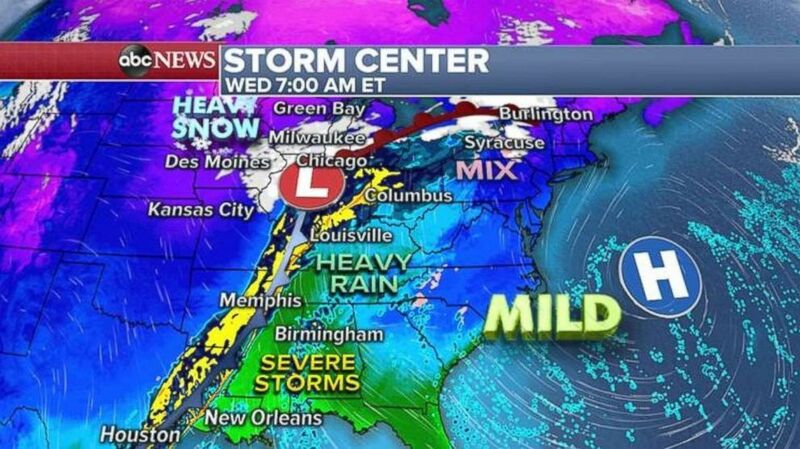 A line of severe storms and heavy snow stretches from Texas to Michigan on Wednesday morning. 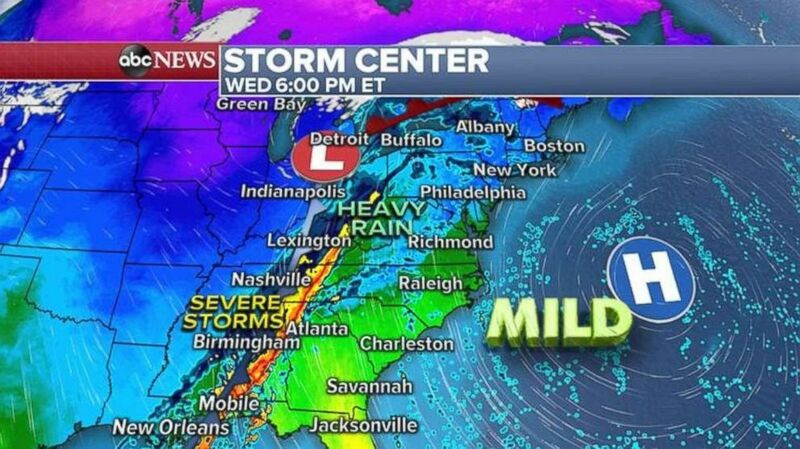 Severe storms will move into Alabama and Georgia later in the day Wednesday. 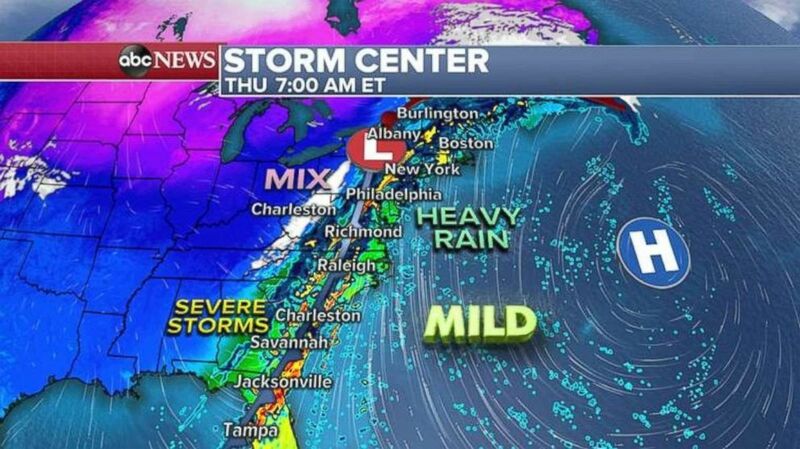 The East Coast will feel the effects of the storm on Thursday morning. 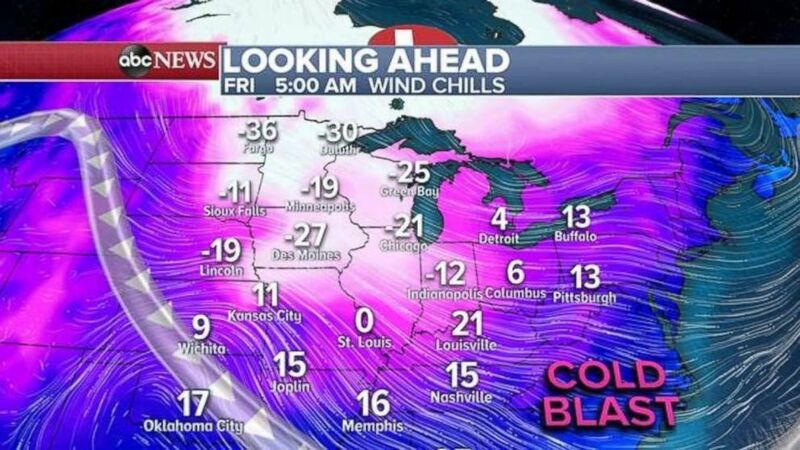 Wind chills will dip well below zero in the Northern Plains on Friday morning.